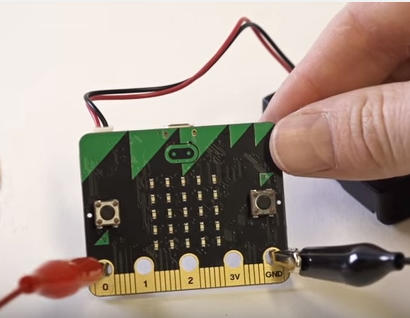 Using the 1st crocodile clip, connect the end of the crocodile clip onto GND pin of the micro:bit. 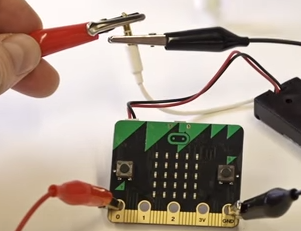 Using the 2nd crocodile clip, connect the end of the crocodile clip onto pin 0 of the micro:bit. 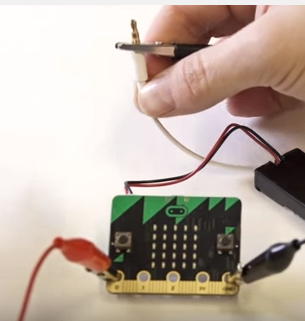 Using the 1st crocodile clip, connect the second end of the crocodile clip onto based of the headphone jack. 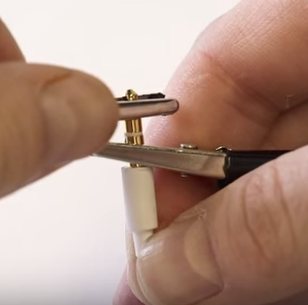 Using the 2nd crocodile clip, connect the second end of the crocodile clip onto tip of the headphone jack. Using the 3rd crocodile clip, connect the end of the crocodile clip onto the 1st crocodile clip already clipped onto GND. Using the 3rd crocodile clip, connect the unattached end of the crocodile clip onto the orange. 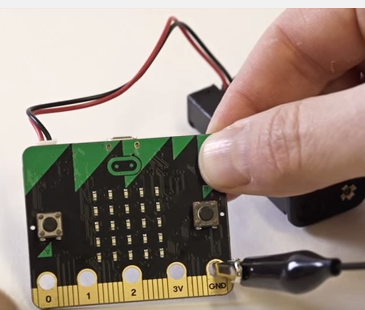 Using the 4th crocodile clip, connect the end of the crocodile clip onto pin 1 on the micro:bit. 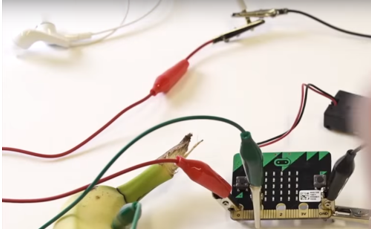 Using the 4th crocodile clip, connect the unattached end of the crocodile clip onto the banana. Your banana keyboard is ready! 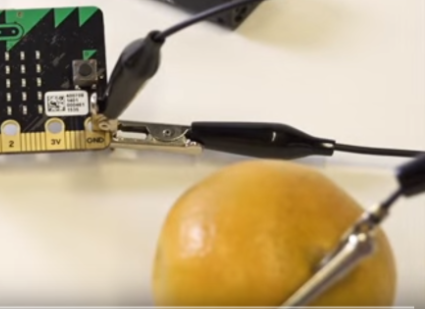 Grab a the orange with one hand. 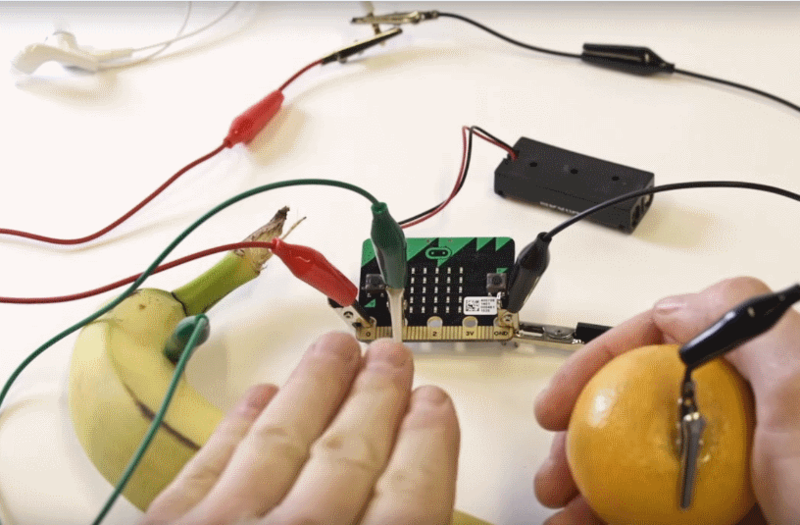 With the fingers of your other hand, tap the banana to play sound. 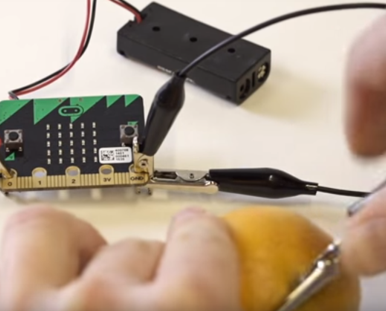 Your banana keyboard is ready!